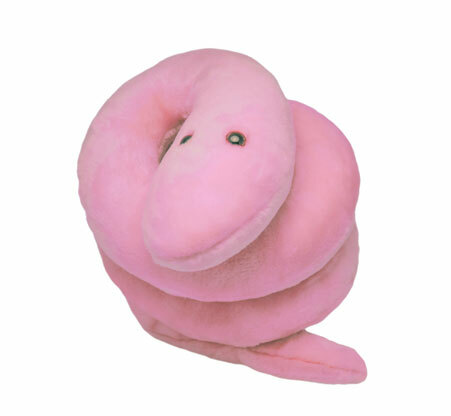 The syphilis plush is a stuffed animal that looks like the syphilis microbe amplified a million times. It includes an informative tag that has an image and information about the microbe it represents. This plush is approximately 5-7 inches and makes for a great learning tool or gift.